With our lives so busy, for most of us visiting the garage for a service or when we run into car problems, can be incredibly difficult or inconvenient. A mobile car mechanic can help. We are highly reviewed across the Middlesbrough area so you can rely on a brilliant mobile mechanic service. We come to your home, work, gym - anywhere and anytime that's convenient for you. It couldn't be simpler to arrange a quote and appointment. Contact us via telephone or contact form and we will contact you to arrange your appointment. Call us on 07922 057863 or complete a website contact form to tell us about the problems you are having or the job you need doing. One of our friendly mechanics will contact you to introduce themselves, provide a quote and arrange your appointment. We will come to you, wherever you are, to get the job done. We service all locations across the North East. 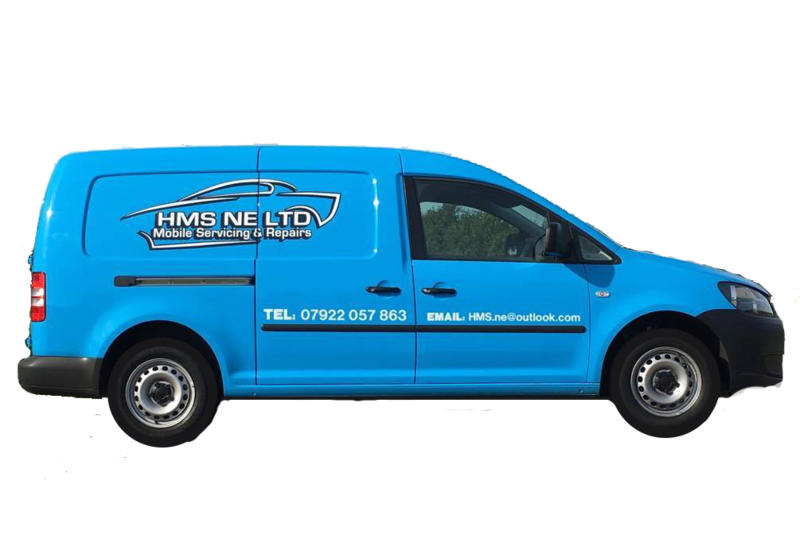 With HMS NE Mobile Mechanics, you can be assured of a reliable, honest and professional service – at incredibly competitive prices! But don't take our word for it; see what our customers have to say. We are your approved and highly rated local mobile mechanics. Sole traders, without the cost of running a garage means savings. We are sole traders that live and work in your area. As a time and place to suit your schedule. We can literally visit you anywhere in the area. We have a proven track record in customer satisfaction. We are local and have a track record in customer satisfaction. Expect the smartest mechanics to attend to your vehicle. Finally a mechanic I can trust! Sorted my car out twice now. At very short notice too. Don't hesitate to go with is guy. Absolutely fantastic,great prices and comes to your door. What more can you ask for. Will only use this company from now on. One very happy customer. Just want to say massive thank you! 5 Service.. You travelled to me at work to take a look at my broken down van, booked it in to complete the issues and had me back on the road. He has also completed services on all my vans - reasonable in price and very reliable. Would highly recommend. Great work, sorted my car out straight away at a fraction of the price of a garage and all at my house, honest and reliable,highly recommended. I had my car serviced this morning & I would thoroughly recommend using this company. Excellent & professional thorough service from a very polite & trustworthy young man. We want to make it easier for you to find a trustworthy mobile mechanic in Middlesbrough and the surrounding area. We aim to provide 100% customer satisfaction of those contacting us for help across the UK. We work with only the smartest and trustworthy mechanics with a proven track record in customer satisfaction. You can rely on us to find the right mobile mechanic for you. Our mobile mechanics will be equipped with state of the art diagnostics devices and modern day equipment to maintain and repair your vehicles. We complete over 95% of the jobs we attend at your location. ARE INTERESTED IN A QUOTE AND BOOKING AN APPOINTMENT? The smartest mobile mechanics in your area.